Product Description: A pioneer of American flight. 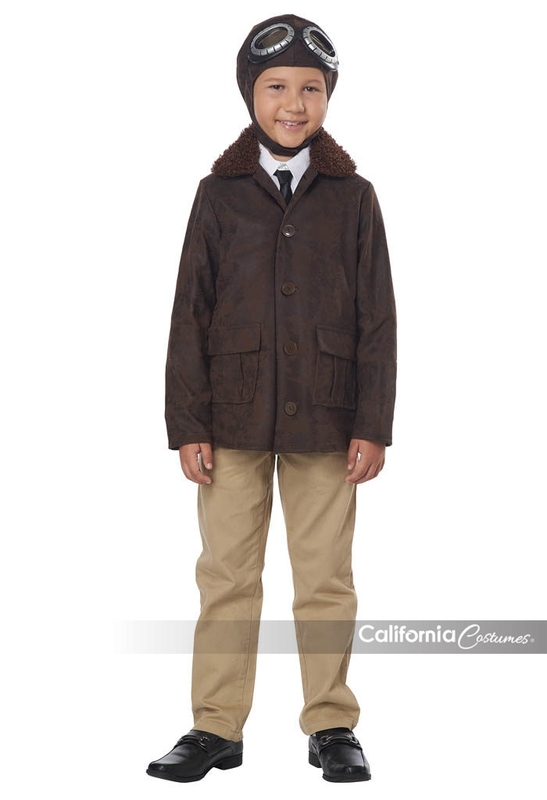 The American Aviator child costume is a button up jacket with a faux fur collar and pocket trim. 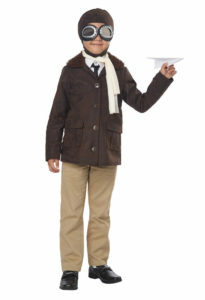 It comes with a hood cap, a pair of goggles and a scarf.